Planning for a party can be difficult, especially if you don’t have a party store in your immediate area. 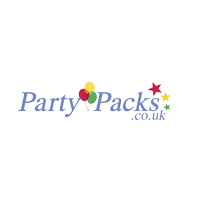 Party Packs is a UK based company that carries an extensive collection of party gear that you may need for the holiday season or even for birthdays. You can take a look at all of the products that they have available from A to Z and you can also search for items by keyword. If you have a specific theme you can select it from a drop down list on the front page. Party Packs carries everything from balloons to character costumes for your special event. For most up to date offers check out Party Packs on Facebook and Twitter or contact Party Packs Support for any questions.